The West Bengal Joint Entrance Examination Board is responsible for organizing the West Bengal Joint Entrance Examination (WBJEE). The Application Form for WBJEE 2018 has been released on the official website on December 19, 2017. 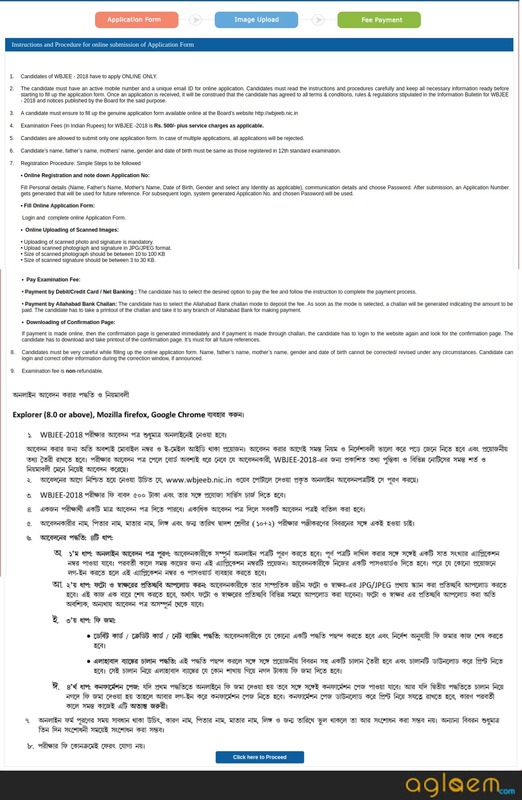 The last date to apply for West Bengal Joint Entrance Examination (WBJEE) is January 19, 2018. For the 2018–2019 academic session, the Board will conduct the Common Entrance Examination on April 22, 2018, for admission to Undergraduate Courses in Engineering & Technology, Pharmacy, and Architecture in Universities, Govt. Colleges and Self Financed Institutes in the State. The interested candidates can apply for it and can give the exam on the scheduled date. The candidates can check the details from the link given below. Latest: The dates for WBJEE 2018 Application Form and WBJEE 2018 Examination has been announced. The candidates who are eligible for applying for WBJEE 2018 can fill the application form. The candidates need to register himself /herself first and then they can fill up the pieces of information like personal details, educational details. Then they can upload their scanned image and then they can make the payment. At last, they can download the confirmation page. The candidate has to follow these steps for filling the application form. 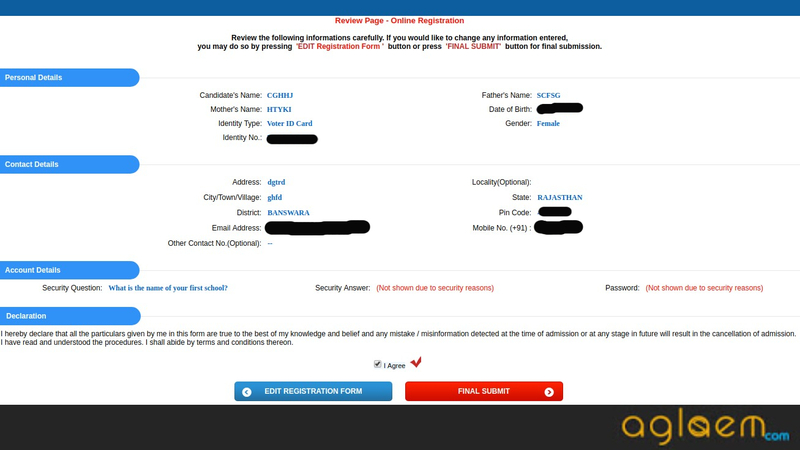 Step-1 (Online Registration): First, the candidate has to go to the home page of the official website. 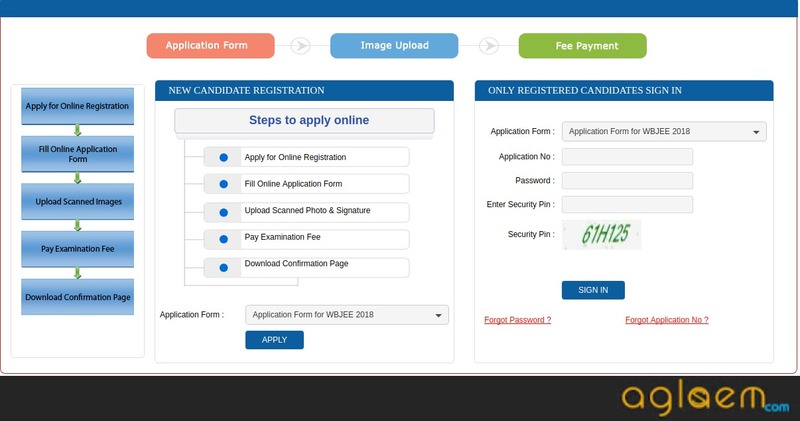 Then the candidate has to choose the option Application Form For WBJEE 2018. Then click on “Apply” button. After clicking apply button, You will have some instructions. Read those instructions carefully and click on “Proceed”. 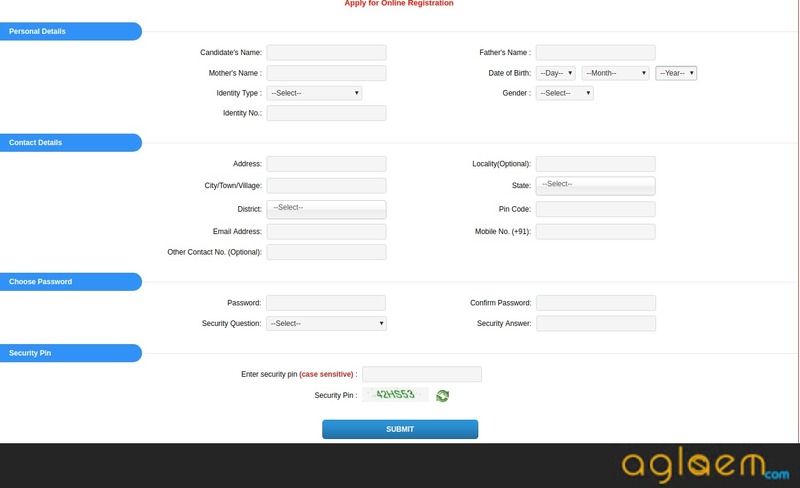 Now you can apply for online registration by filling up the personal details like candidate’s name, father’s name…, contact details like address, town, state….. Then you can choose a password and confirm that password. After that just fill up the security pin. Security pin is case sensitive. After that click on “Submit” button. After submitting all the details a review page will be opened. Now you can edit your information or if the information is all correct then click on “Final submit” button. After this, check I agree term click on “Final submit” button. Now your registration process is over. You can further proceed to apply or you can log in with your application number and password whenever you want. 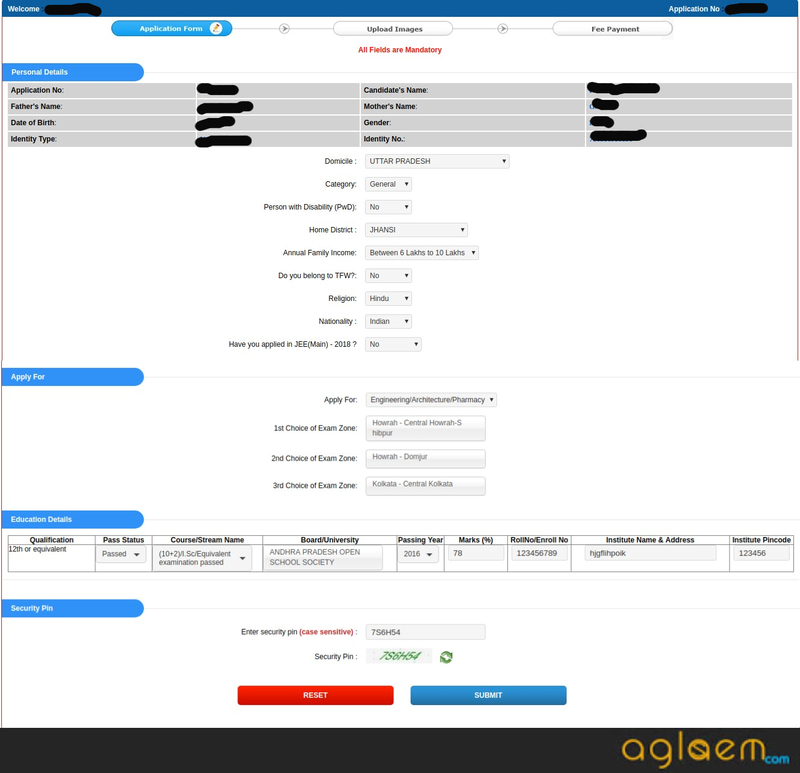 Step-2 (Application Form): Fill the application form with the pieces of information required like domicile, category, district, exam zone, education details, security code and click on “Submit” button. 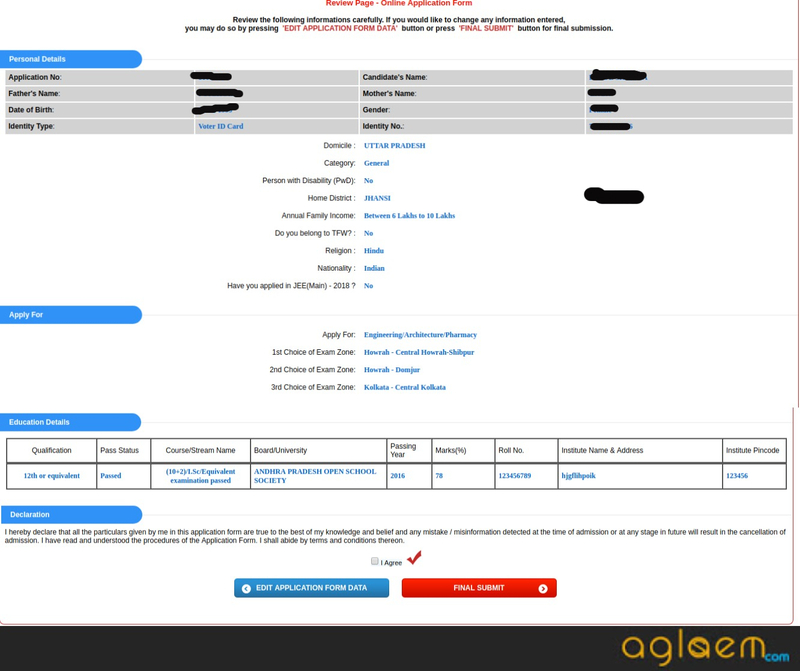 As you had seen, a confirmation page will be open and then the review page will be open. If all the details all correct then the candidate can “Final submit” the application form. Step-3 (Upload Image): now upload your photo, signature and left thumb impression according to the guidelines provided. Step-4 (Payment of Examination Fee): In this step just make the transaction for the examination fee. The application fees to be paid for appearing in the WBJEE-2018 is Rs. 500/- (Rupees five hundred only) plus the Bank’s Service Charges as applicable. The Examination Fees can be paid either in cashless mode by Net Banking/ Debit Card/ Credit Card or in cash using Allahabad Bank e-challan. Payment status is updated automatically and hence should show ‘OK’ immediately after the payment. But in some rare cases, it may be delayed due to the Bank’s network delay/failure or transaction failure at the Electronic Payment Gateway (EPG). If the payment status does not show ‘OK’ immediately after making the payment then the candidates are advised as follows. If the payment was made by e-challan, contact the bank branch immediately, where the cash payment was made. 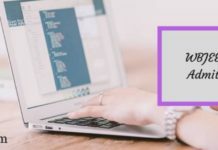 If the payment was made by net banking/debit card/credit card, and the transaction failed at EPG, the candidate has to make payment once again. Note: The candidates do not have to wait for the last day to make fee payment in order to avoid payment failure by Bank or EPG. 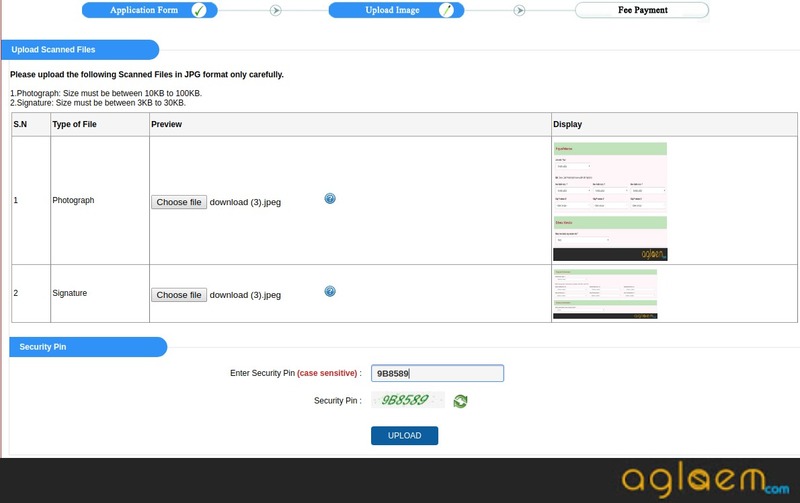 Step-5 (Download the Confirmation Page): In this step, the candidate needs to download the confirmation page for the further use. 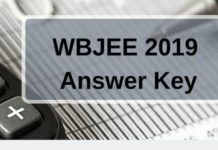 WBJEE 2019 Answer Key – Check Here!